TRAC found that, in FY 2013, the top three criminal convictions among deportees were illegal entry into the country (46,759), driving under the influence (29,852), and traffic offenses (15,548). Also populating the top-20 list were other immigration offenses, such as illegal re-entry into the country (3,992) and possession of fraudulent immigration documents (1,994). Compared to traffic and immigration offenses, relatively few deportations involved individuals convicted of more serious crimes, such as larceny (3,845), burglary (3,076), and domestic violence (1,849). This emphasis on immigration and traffic violations is indicative of some very skewed enforcement priorities. 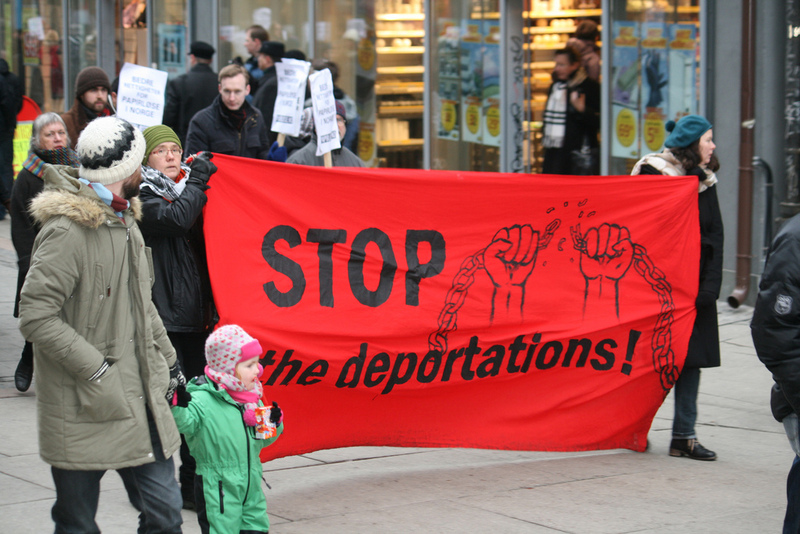 These reports come on the heels of 90 nationwide events protesting the mass deportations that are now taking place. In March, President Obama called for a review of deportation policies in an effort to make them more “humane.” His administration would do well to practice what it preaches and focus the nation’s immigration enforcement resources on the apprehension of people who are dangerous—not people who have gotten traffic tickets.